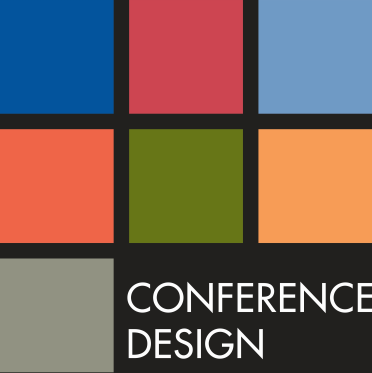 International Conference for Rural and Remote Nurses & Midwives. With more than 840,000 members and $41 billion invested globally on their behalf, we’ve learned a thing or two about looking after our members. As an industry super fund we work for members – not shareholders. We keep our fees down, costs low, and provide commission-free advice. It’s all part of the service. That way more money stays in our members’ super accounts working for their future. 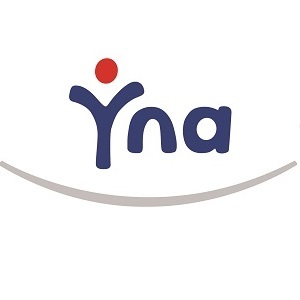 YNA employs and places Registered Nurses, Enrolled Nurses, specialist nurses such as Midwives, Personal Care Workers and Health Support Staff in metropolitan, rural and remote healthcare settings across Australia. The uniqueness of the Torres and Cape offer an unforgettable experience and along with the great career opportunities for health professionals, especially nurses, community health workers and generalist doctors. Health professionals employed in Torres and Cape are responsible for working in partnership with Indigenous Health Workers and the communities to provide a wide range of primary healthcare services. On the Cape mainland, the two main towns of Weipa and Cooktown beckon. There are fantastic travels and adventures to be had across this diverse land and seascape, including barramundi fishing, camping, boating and sport hunting. You’ll love the Laura dance festival, Lockhart River arts and crafts, and Cooktown re-enactment. It’s hard to resist employment in an area where you may watch dawn break over the water on the way to work each day, where five minutes’ drive in any direction takes you to a beach. Working in the Torres Strait and Northern Peninsula is more than a job, it is a great opportunity to challenge yourself, become an integral member of the local community, develop collaborative relationships with other health professionals and be a part of making a difference to Aboriginal and Torres Strait Islander health outcomes by providing comprehensive health services. 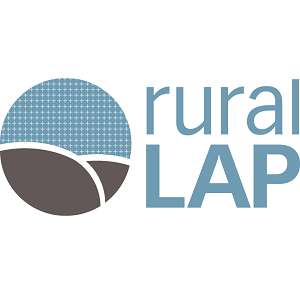 The Kimberley Rural Health Alliance (KRHA) is one of the newest University Departments of Rural Health in Australia. The KRHA is funded by the Commonwealth Government to address rural workforce shortages. It is operated by the University of Notre Dame Australia (UNDA), in a consortium with four other universities; Edith Cowan University, Curtin University, Charles Darwin University & Murdoch University. Rural Health West is a free Not for profit recruitment agency funded by the Department of Health and WA Country Health Service to attract, recruit and retain health professionals in primary health positions in rural and remote WA. We offer relocation and rent assistance to eligible candidates and some rural employees are able to apply for generous CPD Scholarships. Health Workforce Queensland (the Agency) is a not-for-profit Rural Workforce Agency focused on making sure remote, rural and Aboriginal and Torres Strait Islander communities have access to highly skilled health professionals when and where they need them, now and into the future. Through funding from the Australian Government Department of Health, the Agency provides a continuum of support services to remote and rural general practitioners, nurses, allied health professionals and Aboriginal and Torres Strait Islander health workers. In providing those support services, the Agency aims to address the health workforce shortages and maldistribution to meet the current and future health workforce needs throughout remote and rural Queensland communities. Your organisation may be eligible for Australian Government funded support to help alleviate the pressure of finding a temporary replacement when your valuable healthcare staff goes on leave. You will be given all the support needed to recruit, screen and place a highly experienced temporary health professional that can hit the ground running from the moment they arrive. 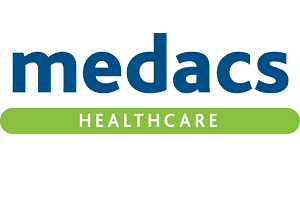 Our unique program is subsidised by the Australian Government so that all you need to worry about is ensuring your community receives ongoing healthcare during your team member’s absence. This means that there are no fees and your organisation only pays for the cost of having a temporary locum for the duration of the leave period i.e. their wage, superannuation and any applicable taxes. We help to alleviate the pressure even further by arranging and paying for the temporary health professional travel, accommodation and meals allowance. Interested in becoming a locum? For each rural and remote placement you not only receive all of the above benefits but you also receive an incentive allowance of $150 per working day. For more information please freecall 1800 Rural LAP (1800 18725 527). 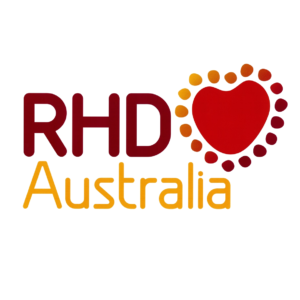 RHDAustralia is based at Menzies School of Health Research in Darwin and funded under the Australian Government’s Rheumatic Fever Strategy. RHDA works alongside Aboriginal and Torres Strait Islander peoples, and other at risk populations, to reduce acute rheumatic fever and rheumatic heart disease in Australia. 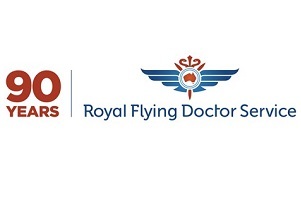 RHDAustralia will do this by developing and disseminating evidenced-based resources to support health systems and health staff in their work, and by advocating and providing culturally appropriate educational resources for people with ARF/RHD and their families. Apunipima is one of the largest community-controlled health organisations in Queensland. With over 200 staff, Apunipima is a membership based, community controlled Aboriginal Health Organisation responsible for delivering high quality, culturally appropriate, comprehensive primary health care to 11 Cape York communities. Fifty-percent of our workforce areAboriginal and/or Torres Strait Islander and 40% are community-based employees. 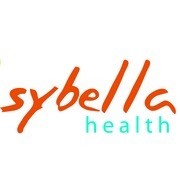 This service employs Aboriginal and Torres Strait Islander Health Practitioners, Health Workers, outreach midwives, podiatrists, audiologists, physiotherapists, dietitians and nutritionists, diabetes nurse educators, paediatricians and GPs. James Cook University is Australia’s leading university for the tropics, educating and training allied health, nursing, midwifery and medicine professionals for practice in Northern Australia and beyond. 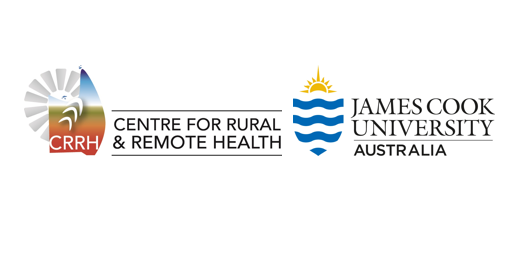 JCU’s Centre for Rural and Remote Health provides a strong focus on training the workforce in and for remote and rural regions such as outback Queensland. Downs Nursing Agency (DNA) was established in 2000 by local identities Des and Jane Baartz. DNA is 100% Australian owned and operated. As a registered nurse (RN) Jane understands both the lifestyle needs of Nurses and the health care providers requirements. 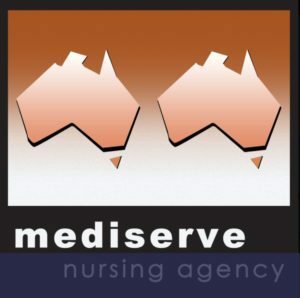 Downs Nursing Agency (DNA) is the preferred supplier for Governmental and private health care providers for nursing staff within all Queensland areas ie cities, local, rural and remote areas. Downs Nursing Agency (DNA) excels in providing a caring and supportive environment for our nurses. There’s a fulfilling career in Nursing and/or Midwifery waiting for you in Australia’s Northern Territory. NT Health, comprising of the Department of Health (System Manager) and two Statutory Health Services, Top End and Central Australia Health Services, provides health care for a geographically dispersed population across the Northern Territory. 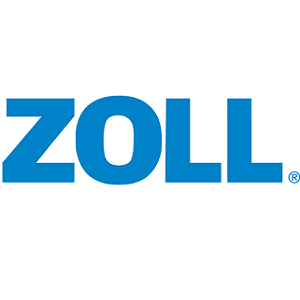 We offer attractive pay and conditions and unique opportunities to develop your skills and broaden your experience. Be part of a workforce that offers culturally appropriate care which is responsive to and understanding of patient needs and issues, leading to a better experience and outcome for patients. We’re the only national, professional body solely dedicated to Indigenous health workers and health practitioners. Representing our members and advocating on behalf of the profession is our major focus. NATSIHWA was established in 2009 when the Australia Government took the important decision to strengthen the Aboriginal and Torres Strait Islander health workforce as part of Closing the Gap. NATSIHWA has a seven-member Board of Directors, representing all states and territories. Remote Area Health Corps (RAHC) deploys urban-based health professionals to increase primary healthcare services and assist in addressing the shortfall in health service delivery in remote Indigenous Northern Territory (NT) communities. 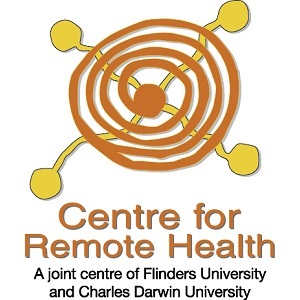 Established in 2008, RAHC is an Australian Government-funded program administered on behalf of the Department of Health for The Indigenous Australians’ Health Programme: Stronger Futures Northern Territory which focuses on “addressing the persistent challenges to accessing primary healthcare services for Aboriginal and Torres Strait people in the Northern Territory”. RAHC offers short-term paid placements to urban-based professionals from 3 weeks to 3 months, creating opportunities to improve the health and wellbeing of Indigenous Australians without having to give up your regular job back home. Each RN and midwife is provided with clinical and cultural orientation and ongoing support through our free CPD approved online modules. The modules are designed to provide an overview of health issue prevalent to the remote health context. Be part of the effort to support and strengthen the existing remote workforce and play your part to help close the gap around Indigenous health outcomes. 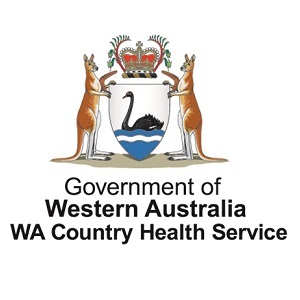 The WA Country Health Services is the largest country health system in Australia covering the whole of the State outside the Perth metropolitan area. It provides health services to approximately 530,000 people, including over 50,000 Aboriginal people, over a vast two and a half million square kilometres. Despite the challenges of vast distances and health inequalities, WACHS offers comprehensive health services to country residents and visitors that encompass emergency and hospital services, population, public and primary healthcare, mental health, drug and alcohol services, Aboriginal health, child and community health and residential and community aged care services. WACHS is committed to improving the health and wellbeing of country people through access to quality services and by supporting people to look after their own health. Sugarman Australia specialises in the Recruitment of Nurses and Midwives, Doctors, Allied Health professionals and Social Care Workers. We support clients across Public and Private hospitals, Not for profit organisations, Aged Care Facilities and within the Community. 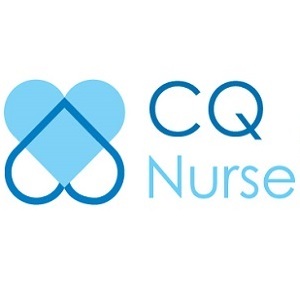 We specialise in recruiting hard to fill roles in both remote and city locations offering locum, fixed term and permanent solutions Our dedicated and highly experienced consultants pride themselves on delivering a professional service built on knowledge and relationships gained over many years. Our extensive network means that we can facilitate access to diverse roles as a candidate, or we can search and find sought after candidates for our clients in need. Each Consultant will specialise within their division below and brings their own personality and experience to the process. Whichever division you need, rest assured they will look after you every step of the way. 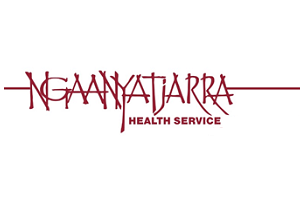 The Ngaanyatjarra Health Service provides a range of services with a population health care focus across the Ngaanyatjarra region in Western Australia. 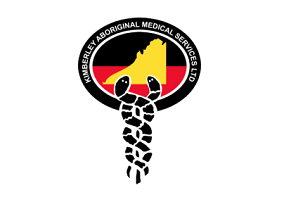 They include health centres delivering primary and acute health care provided by Primary Health Care Nurses, Aboriginal Health Practitioners and specialist Population Health staff, supported by General Practitioners. 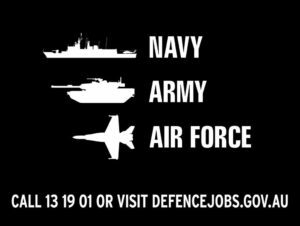 Discover a rewarding healthcare role and learn more about the benefits, lifestyle and opportunities by visiting Defence Force Recruiting. Northern Australia Primary Health Limited (NAPHL) is the largest provider of mental health, mainstream primary health support services through the Integrated Team Care program for Aboriginal and Torres Strait Islanders, National Disability Insurance Scheme (NDIS), refugee health and Allied Health services in Northern Queensland. NAPHL has more than 20 years’ experience in the delivery of community-based health and wellbeing services to people in regional, rural and remote communities in the North Queensland catchment from Mackay in the south to Torres Strait in the north. The services provided by NAPHL are testament to the ability to deliver across social and geographically challenging boundaries with the ability to foster strong and sustainable relationships with all those involved in delivering care services. NAPHL is driven by a commitment to improve the health outcomes of all Australians by meeting demand through partnerships and innovation. NAPHL complements the care provided by General Practitioners through our services and increasing capacity to manage complex care needs. We ensure the delivery of health and wellbeing options as close to consumers and carers as possible. Our services are open to anyone living in the North Queensland region with programs and services provided at little or no direct cost to clients through Federally funded programs. We also offer fee for service for those clients who do not meet funded program eligibility. For over 30 years, the Menzies School of Health Research has been a beacon for development, sustainability, health improvement, economic advancement and transformation. Menzies’ Education and Training team coordinates and delivers Charles Darwin University’s postgraduate public health and health research courses and administratively supports higher degree research (HDR) students. Our lecturers and research supervisors are Menzies’ researchers and acclaimed experts in their fields. For two decades, Menzies has been delivering public health and research degrees to students who want to make a difference. The Education and Training team has a wide range of expertise and can assist with advice around: enrolment, scholarships, study plans, public health and research careers. With Menzies, you can undertake the Graduate Diploma in Health Research, the Graduate Diploma in Public Health, the Master of Public Health, Master by Research and Doctor of Philosophy. The Lowitja Institute is Australia’s national institute for Aboriginal and Torres Strait Islander health research, named in honour of our Patron, Dr Lowitja O’Donoghue AC CBE DSG. We are an Aboriginal and Torres Strait Islander organisation working for the health and wellbeing of Australia’s First Peoples through quality research, knowledge translation, and by supporting Aboriginal and Torres Strait Islander health researchers. The Institute operates on key principles of Aboriginal and Torres Strait Islander leadership, a broader understanding of health that incorporates wellbeing, and the need for the work to have a clear and positive impact. CareLynx started out as a group of nurses who wanted to make Aged Care simple and share their nursing expertise with others. 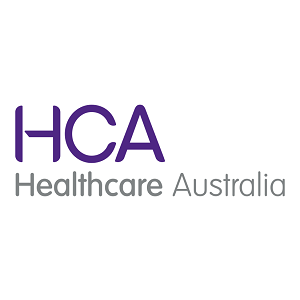 The CareLynx solution was created from providing Nurse Advisor and Agency support to sanctioned services throughout rural & remote Australia. 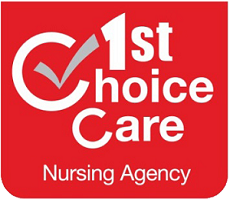 Our aim is to improve quality of care, reduce risks, increase resident satisfaction, increase efficiency of staff, control the use of resources and support services to be sustainable. We created a system that does this with mobile and API capabilities. The system integrates 300+ clinical pathways supporting and monitoring staff, to pro-actively deliver EBP clinical care to residents, regardless of experience and location. 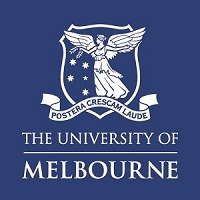 The University of Melbourne is Australia’s leading university. We offer a range of courses for nurses who are based in regional areas. The Alliance for International Medical Action (ALIMA) is a humanitarian medical organization that works in close partnership with a network of national medical organizations to provide quality medical assistance for the most vulnerable, in emergency situations or recurring crises. Based in Dakar, Senegal, ALIMA has treated nearly 3 million patients in 12 countries since it was founded in 2009, and has launched more than a dozen research projects on malnutrition, malaria and the Ebola virus.